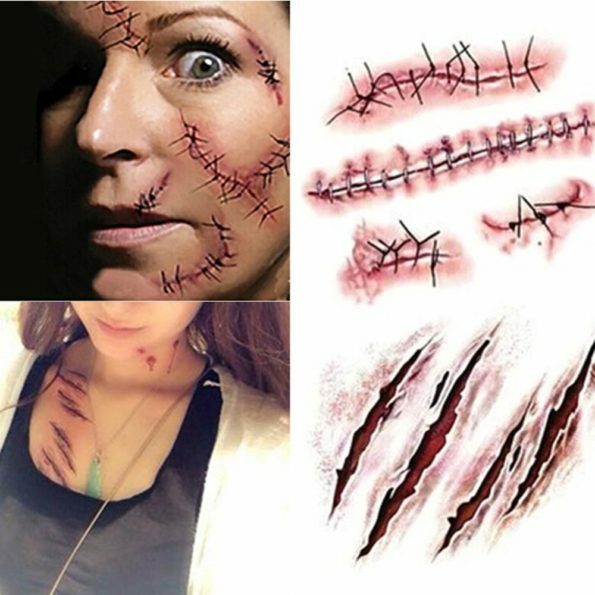 SHZONS comes with an another Halloween gear in a form of a tattoo, This temporary horror realistic waterproof tattoo which feels like we have bloody wound stitch scar scab. Have this and pull some amazing pranks this Halloween by showing some stitches on your face or other body parts. Its a pack of ten removable realistic blood injury wound 3D scars zombie tattoos.